A direct import from our friends across the Atlantic, increasing levels of both brands and consumers are falling in love with the US ‘pop-up store’ concept. Recently, e-commerce players such as Amazon, Groupon and Boohoo have jumped on the bandwagon and tried this new, experiential form of marketing. Also known as flash retailing, pop-up stores are sales outlets which are open over a short period of time, ranging from 24 hours to several months. The goal is to build brand awareness, and promote products by inviting customers to experience them in the flesh. When setting up a pop-up store, location is paramount, because its situation and originality will have a huge impact on how successful it is. According to the French Self-Service Institute’s 2015 study: “Pop-up store: The New Star Retail Format”, there have been more than 360 pop up projects in Europe since 2008. 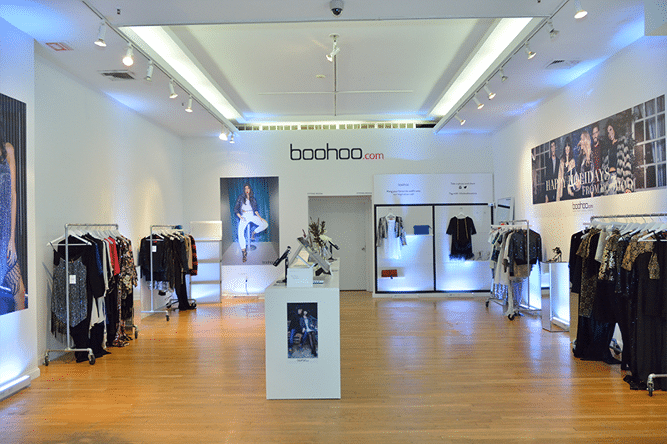 At the end of 2014, 54% of those interviewed as part of a study conducted by Ipsos for Hopshop, had seen a pop-up store. Thanks to their exclusive and original nature, pop-up stores tend to stick in consumers minds. In fact, following a pop-up store experience, 68% said they were eager to discover other pop-up stores. Pop-up store success is down to the interest they spark with consumers”, IFLS survey. Beyond appealing to consumers, this concept is overflowing with benefits for e-tailers. Let’s have a look at the advantages of this fashionable new phenomenon. Ecommerce by nature means that customer/brand relationships are mainly virtual. Setting up a temporary shop means being able to meet your customers: a unique opportunity to strengthen relationships and create new ones orientated more towards physical as opposed to virtual meetings. Choosing a strategic location for your store (a town centre, high street or an exceptional place) you will also attract new customers. 91% of consumers interviewed for an IFSL study say that one of the main problems with online purchases is the inability to touch and try products before ordering. The pop-up store concept enables you to offer your customers the possibility to try products, a nice complimentary advantage to your online store. Don’t hold back on offering exclusive limited edition collections for your pop-up store either. This will help you to create a unique experience for your customers and encourage them to visit the pop-up store. Setting up a pop-up shop allows you to strengthen your brand image and reputation. Use the pop-up store as an excuse to communicate about your offers, your website, your collection, your brand universe, etc. For example, you could install QR codes, tablets and terminals in you pop-up store to drive visitors to your online store, enable them to create an account and view videos of your brand. Feel free to resort to store-to-web, offering visitors promotional codes which are valid online, encouraging them to visit your e-commerce site in order to make new purchases there. Finally, the pop-up store is also proving to be an ideal solution for testing businesses internationally. Of course, embarking overseas can be a risky step and requires knowledge of the market you wish to enter. Opening a shop in a foreign country for a short time is an effective way to test your products, the store’s attractiveness and the market. Online shoppers are cautious when it comes to buying a brand they have never heard of before, so pop-up stores are an original and profitable way to advertise your offer in a new market; especially as the media and word of mouth will take care of announcing your presence. Before you start to conquer new countries, don’t forget to analyse the market and the expectations and needs of your potential new customers.